BMSG hails Buhari over freed Boko Haram hostages – Royal Times of Nigeria. The recent release of hostages held by dreaded insurgency group, Boko Haram has rekindled hope of an eventual release of more hostages by the terrorist group and an imminent end to the war against the insurgents. This is the view of the Buhari Media Support Group (BMSG) in a press statement released in Abuja. According to the group, the release of the ten policewomen and three University of Maiduguri lecturers was an indication that President Buhari had been working tirelessly towards keeping all Nigerians safe and secure. 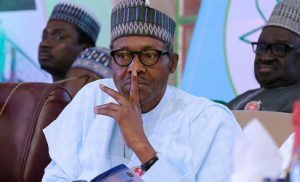 Buhari Media Support Group (BMSG) recalled that before the advent of the present administration, Joint Admissions And Matriculation Board (JAMB) was able to remit only about fifty-one million naira, to the federation account with a yearly remittance of three million naira, but since 2016, JAMB realised over seven point eight billion naira and remitted same to the government. The group said, “they also note that the Economic and Financial Crimes Commission had late last year launched an investigation into the disparity in JAMB’s remittances following the recommendation of the Federal Executive Council presided over by President Muhammadu Buhari.